My favorite meal during our anniversary weekend in the Northeast was brunch with Mr. and Mrs. Yeah4Me at Graffiato in D.C.
Graffiato is Chef Mike Isabella's ode to his Italian-American heritage, sprinkled with Mediterranean and Latin notes from his previous life as executive chef at Zaytinya and sous chef at Alma de Cuba. Some of you may recognize Chef Isabella's name from Top Chef. Consider me a huge fan now. Huge. Every single thing we had was absolutely fantastic. 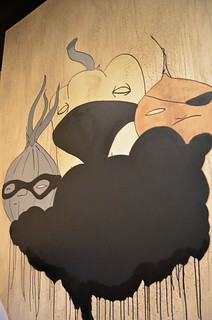 If Graffiato had existed back when I lived in D.C., maybe I wouldn't hate D.C. so much. 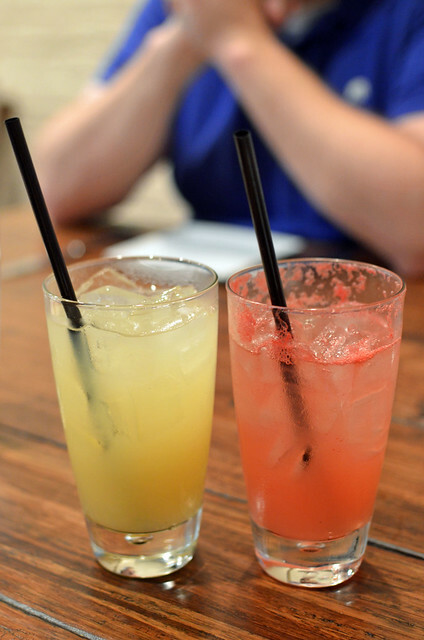 Housemade five-spice ginger beer and housemade watermelon and lemongrass soda ($5 each). I love when places have fresh juices or homemade sodas. These were the best of both worlds. The four of us decided to do the "booze and bites" deal. 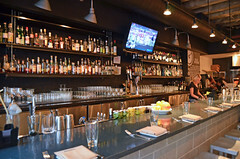 For $25, you choose any three dishes and/or cocktails. We opted for three dishes each and added drinks and desserts on top of that. Prices listed are what you'd pay without participating in "booze and bites." 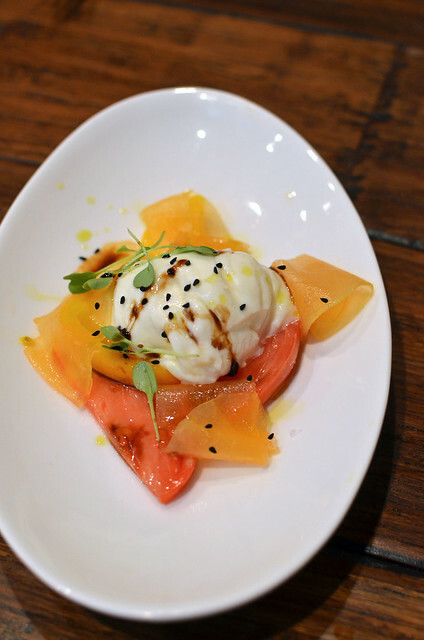 Burrata, Heirloom tomatoes, melon, saba ($12). Fresh and sweet and creamy. 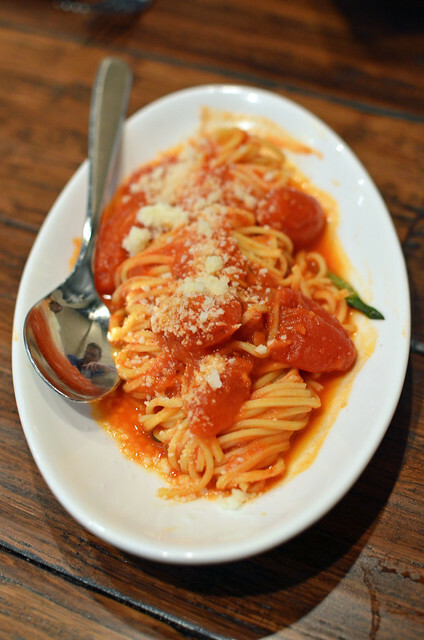 Hand-cut spaghetti, olive oil poached cherry tomatoes, basil ($9). Risotto, soft egg, pancetta, mushroom ($12). 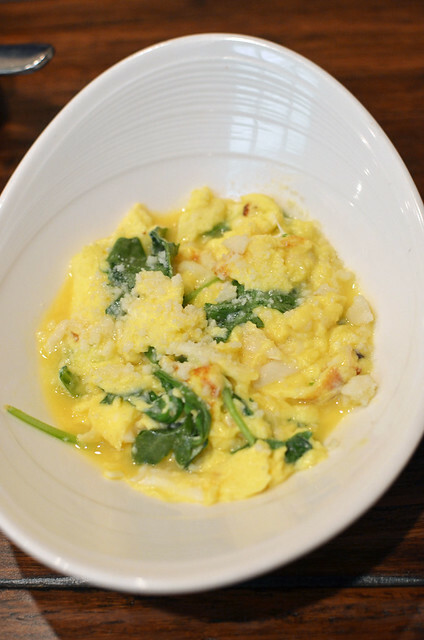 Crab scramble, arugula, ricotta salata ($13). The eggs were ever so light and mixed wonderfully with plenty of crab. 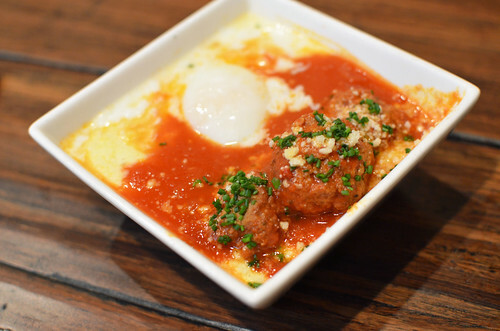 Meatballs, creamy polenta, farmed egg ($10). 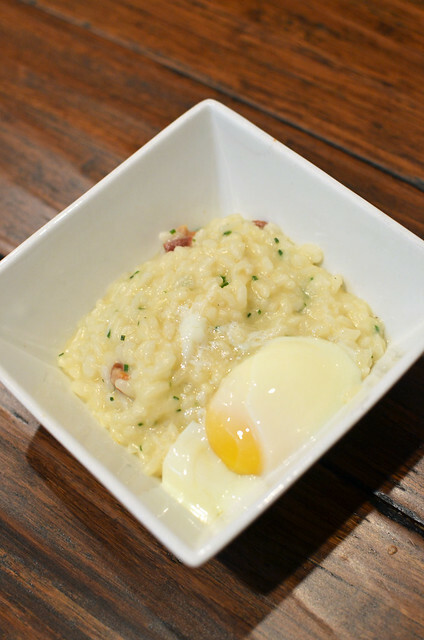 So tender and meaty and cradled in a sunny egg-infused, grits-like porridge. Crispy potato gnocchi, summer squash, pine nuts ($11). 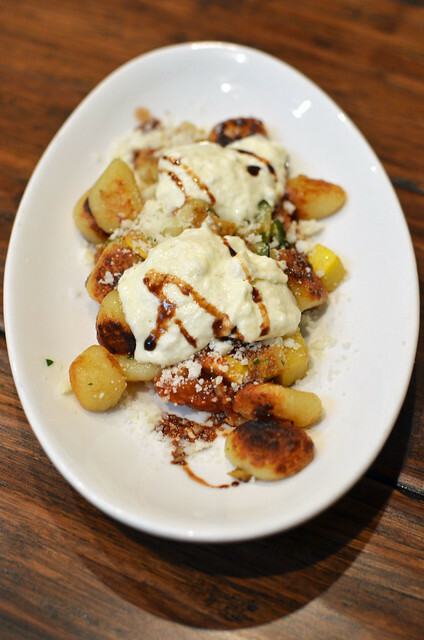 This dish convinced me that all gnocchi should be fried golden brown. Crunchy! Pillowy! Yummy! 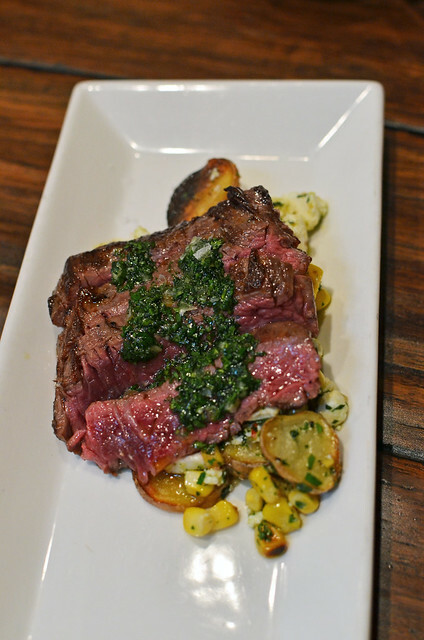 Skirt steak, potatoes, corn, ricotta salata, salsa verde ($13). 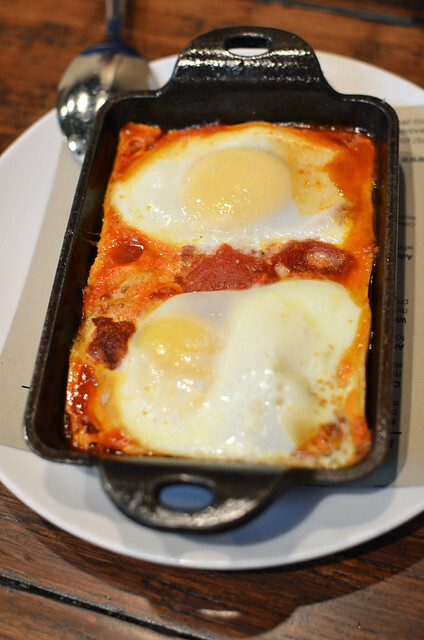 Wood oven baked eggs, spicy sausage, tomatoes, peppers ($12). Underneath those beautiful yolks were delectable, spicy, juicy sausages! 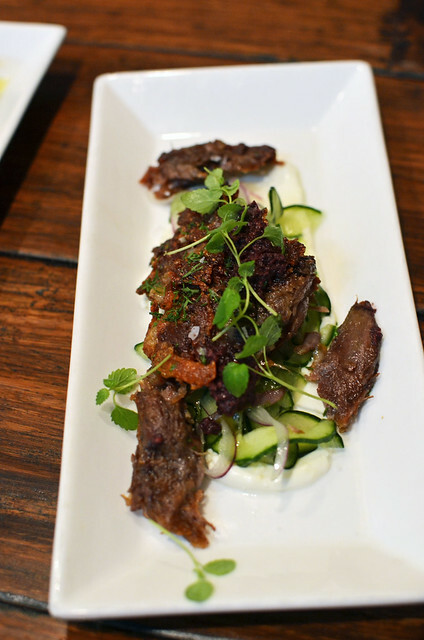 Crispy lamb, yogurt, cucumber, tapenade ($13). Easily the best meat at the table. Perfectly charred. Just fatty enough. Luscious. Wondrous. 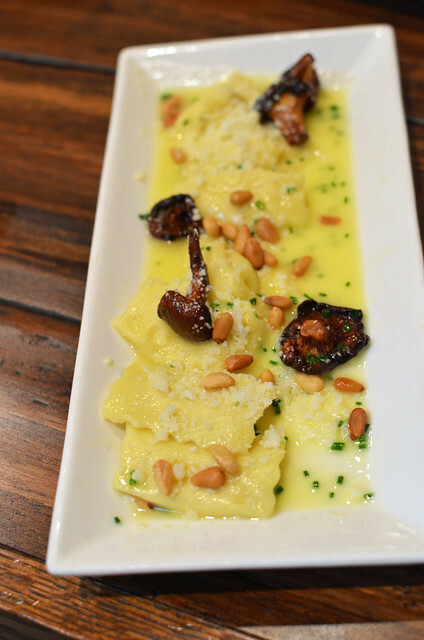 Sweet corn agnolotti, Chanterelles, pine nuts ($11). Everybody's favorite non-meat dish! We got two of these! Sweet, delicate, and dreamy! Must get! 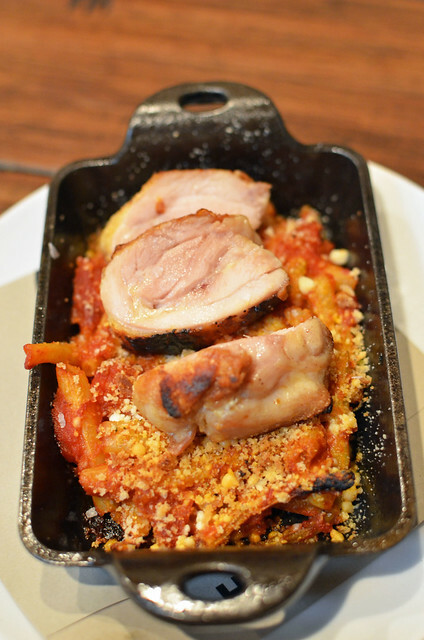 Roasted chicken thigh, braised Romano beans, tomato, Parmesan ($10). I feel like this is something that an Italian-American grandma might make. Good job, Grandma. Market berry pizza, ricotta, hazelnut ($8). I had only a tiny bite because there were blackberries in the mix, but the one tiny bite I had was very good. 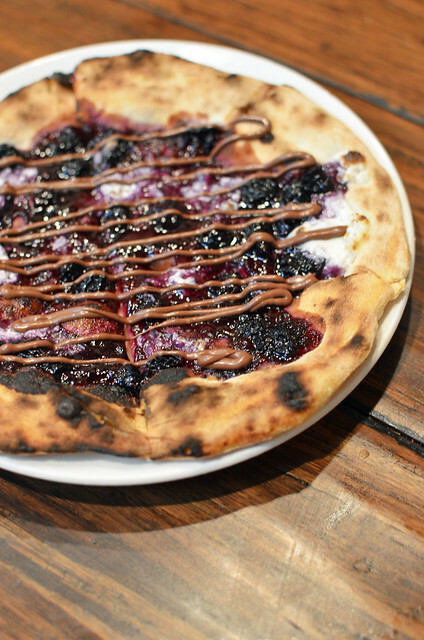 If I'm ever in town again, I'd love to try the actual non-dessert pizzas here. I bet they're awesome. 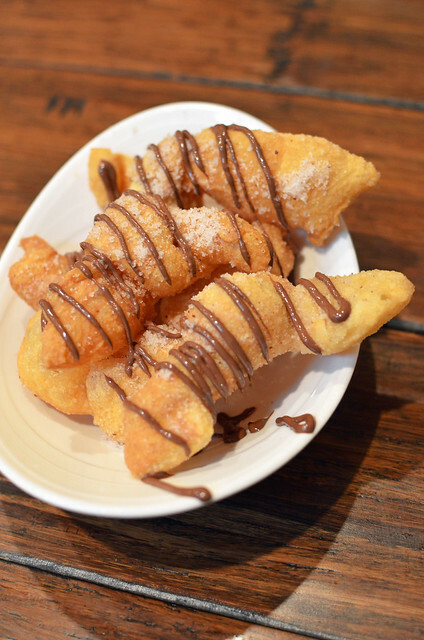 We didn't actually order these, but fried dough drizzled with Nutella is always a welcome complimentary error. It should be noted that the service at Graffiato is quite impressive. Our server was really friendly, knowledgeable, and helpful. 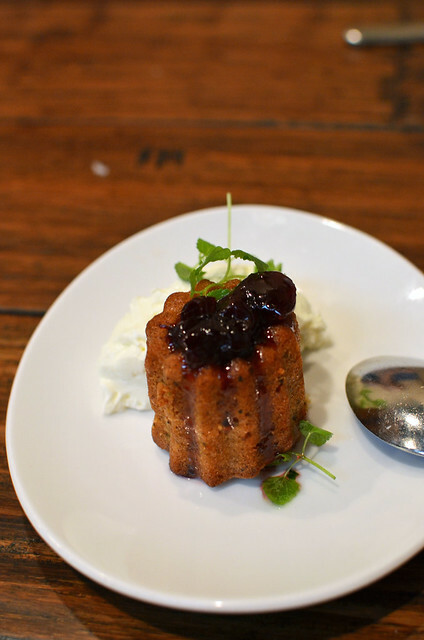 Pistachio cake, cherries, balsamic, orange gelato ($7). Tiny but dense, moist, and lovely. 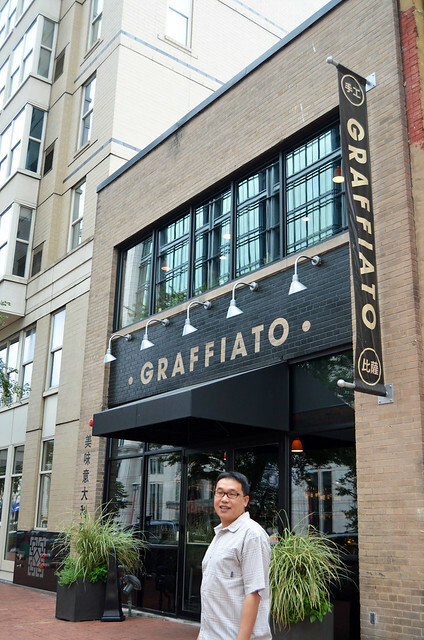 I highly highly highly recommend that you visit Graffiato when you're in D.C. Better yet, grab two happy, hungry friends like Mr. and Mrs. Yeah4Me, so you can try as much food as you possibly can. Thanks for sharing this meal with us! Long time blog follower (grew up in Monterey Park, so I use your blog often when I visit "home"), but now DC resident. 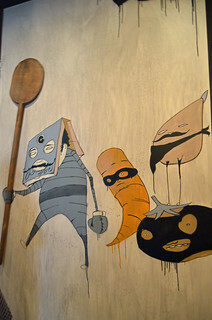 I work just down the street from Graffiato and it is outstanding. Even my husband (who hates small plates) loves it. The cocktails are also to die for. Thanks so for reading for so long! 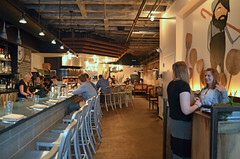 If you find yourself in DC soon again, we like Fiola http://www.fioladc.com/ and Restaurant Eve is a long time favorite. 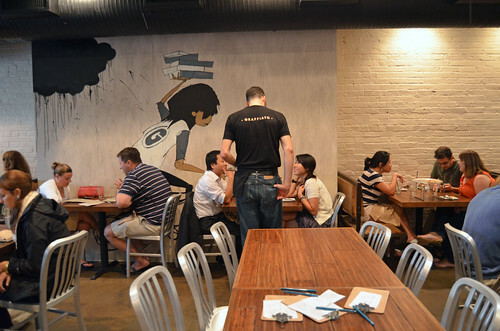 It's hard to get a table at Komi (long time DC favorite), but the new sister restaurant Little Serow is great. 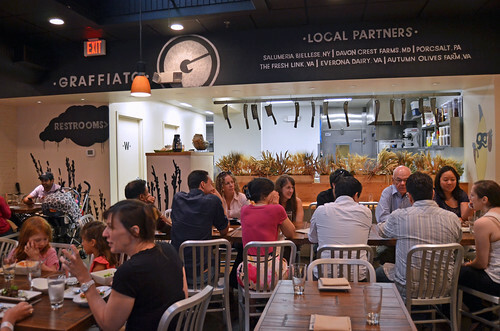 Dining here is much more cyclical than in other cities (I blame transient population and expense accounts), but those are great options right now! I'm sure we'll return in the future! Thanks for these recs! I can vouch for both Komi and Little Serow. Excellence squared! Oh, it was. It was! everything looks so good. i'd go to dc, but every time i go, it snows. boo to me.